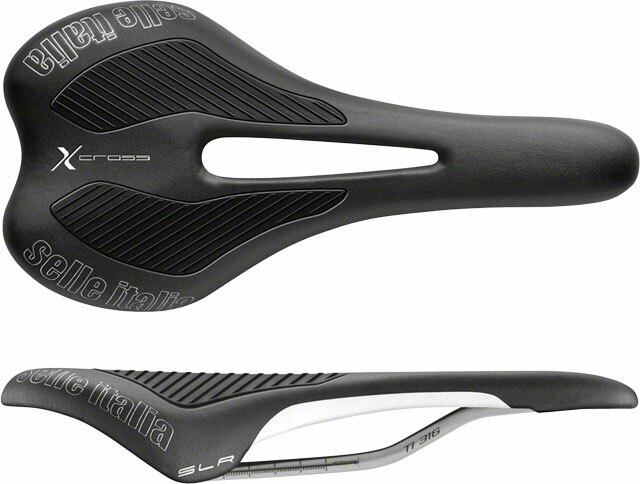 As at home on the road as it is off it, the Selle Italia SLR X Cross Flow saddle weighs just 170 grams. The SLR X Cross Flow has tubular vanox rails that keep the scales low but the durability and strength high. The X Cross Flow has Perfect Fit self modeling padding to ensure a constantly comfortable ride. It also has kevlar reinforcement to resist scratching, tearing and scuffing. 131 mm wide.